Eagle Rock is my home. I love it here! This eclectic, diverse old neighborhood located in the foothills among Glendale, Highland Park, and Pasadena has a small town feel unlike anywhere else in LA. In many ways it reminds me of the Southern California version of classic suburban Americana, complete with white picket fences, towering palm trees and verdant hillsides. Life seems to be a little more relaxed in Eagle Rock and most people seem to like it that way. 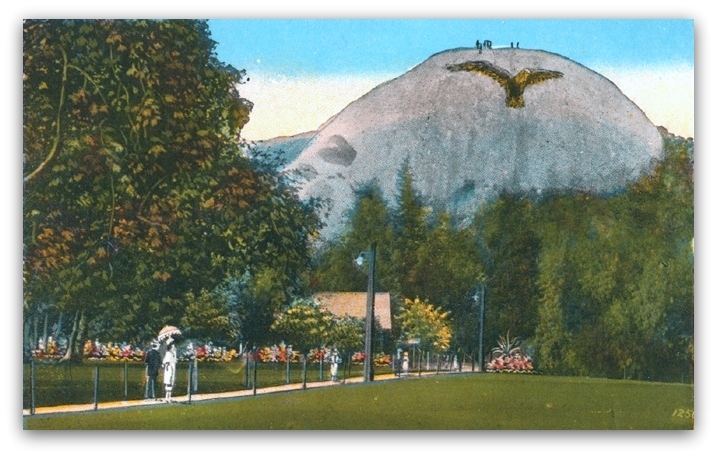 Starting as a farming town in the 1870s, Eagle Rock grew into a kind of suburb of neighboring Pasadena. It was annexed by the city of LA in 1911. Eagle Rock is very artsy, many artists, authors, musicians, and movie industry people live here and the town has a funky vibe. ER has a long running yearly Music Festival which draws tens of thousands of people onto Colorado Boulevard and frequently has events and exhibitions at the Center for Arts (former library location) on Colorado. Eagle Rock Center for the Arts, formerly the public library. Incredible venue to see live music! 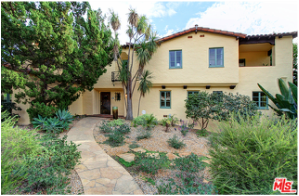 2327 Hill Drive, Also Known As The "Macastle" or "Good Will Hunting House"
Eagle Rock is one of the most kid friendly areas in Los Angeles and people move here in droves to start families. The public schools are all high scoring, there are numerous private, charter and magnet schools in ER along with plenty of parks and open spaces. 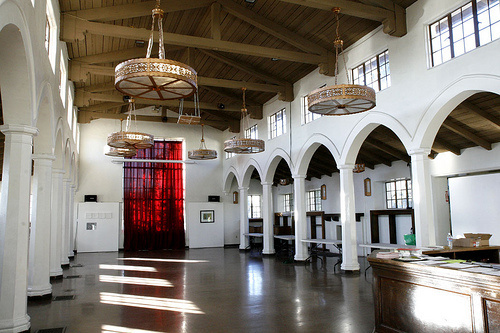 Occidental College is a renowned liberal arts school in an idyllic setting in ER that frequently hosts culturally significant events that are free to the community. Famous Oxy attendees are Barack Obama and Ben Affleck. 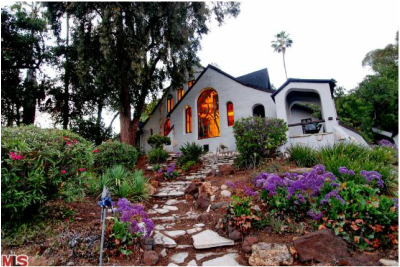 Affleck and Matt Damon wrote their breakout hit Good Will Hunting while living in a medieval castle-looking house on Hill Drive in Eagle Rock. Eagle Rock has many popular restaurants - Casa Bianca, The Oinkster, Auntie Em’s, The Coffee Table, CaCao and many more which are packed on weekends. ER also has it’s own Trader Joe's - the 2nd store Trader Joes ever opened! Houses here are more expensive than neighboring Highland Park but less expensive than Pasadena. 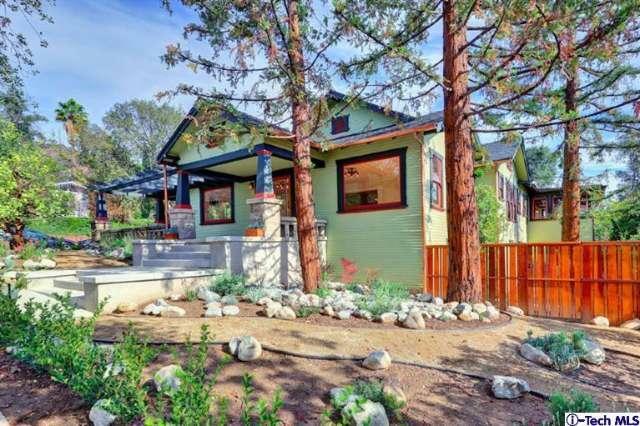 Just like both of the neighboring communities, there is an abundance of beautiful and historical craftsman houses perched on the lush green hillsides of Eagle Rock.